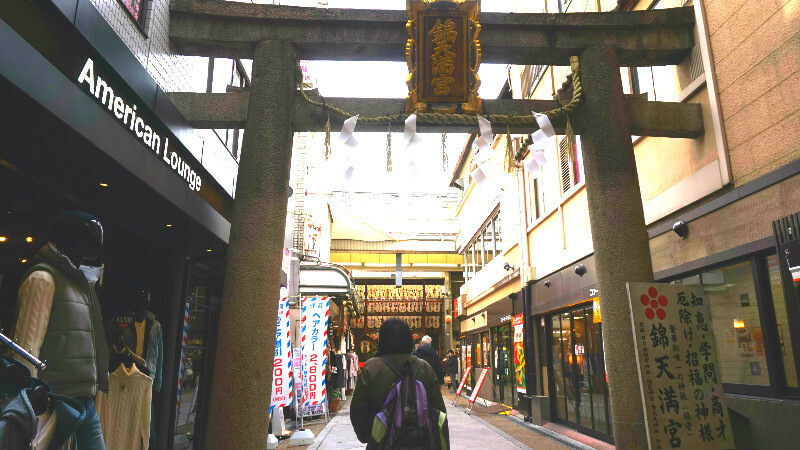 In parts two and three, I am going to tell you about the places Sharing Kyoto would like to recommend in Teramachi and Shinkyogoku shopping streets. First, we start with the old and reliable, established shops! 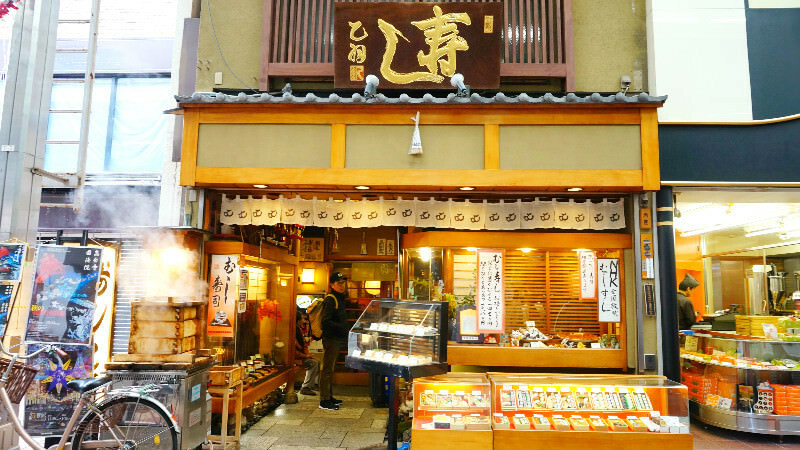 When you talk of souvenirs and the Teramachi Shopping Street, you cannot leave out this shop, which started out as a drug store selling Chinese medicine 350 years ago. 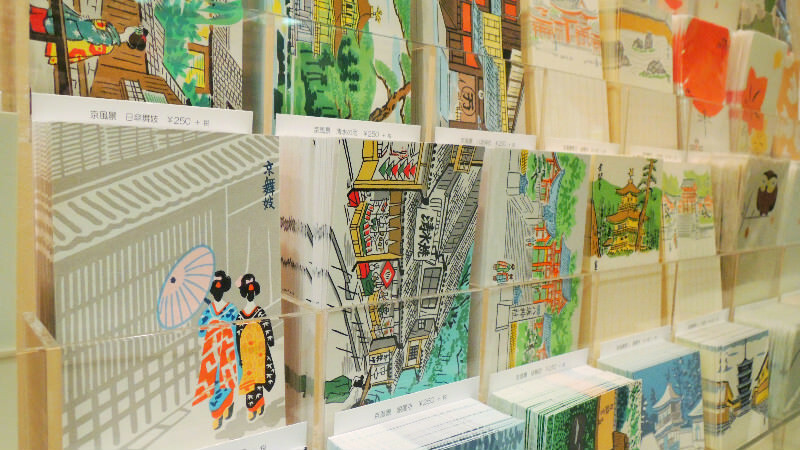 This popular Kyoto-like shop is now selling postcards, bookmarks, and other things made of Japanese paper that reflect the four seasons of Japan. Kyukyodo also sells incense and incense holders. 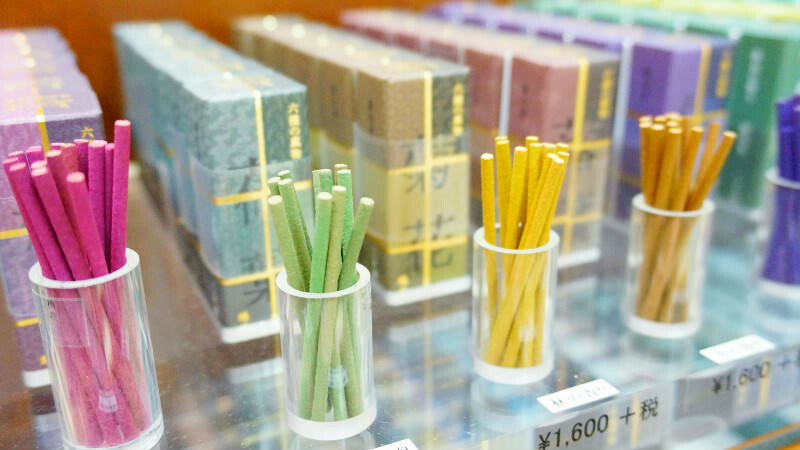 They started selling these incense sticks that use Chinese medicine in them in the Edo period. Next, I would like to go to the ukiyo-e woodblock print store of Nishiharu right next to the famous sukiyaki restaurant Mishima-tei. 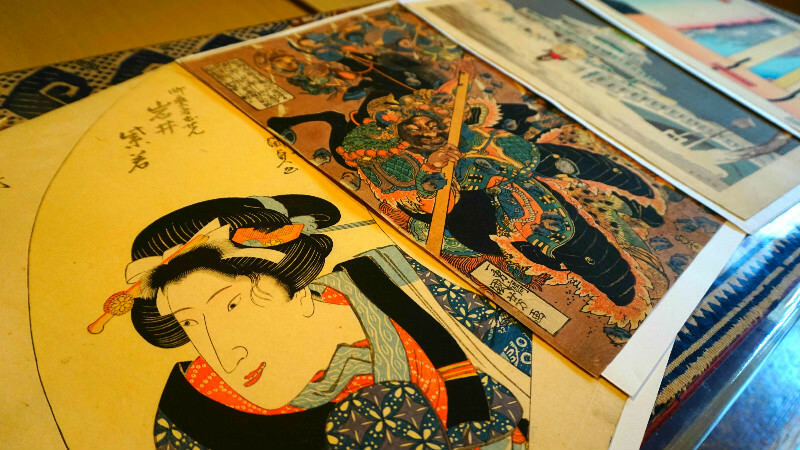 This store mainly sells ukiyo-e made in Edo and Meiji periods. They also have ukiyo-e by the master of ukiyo-e, Utagawa Hiroshige, so this place is great for ukiyo-e fans. 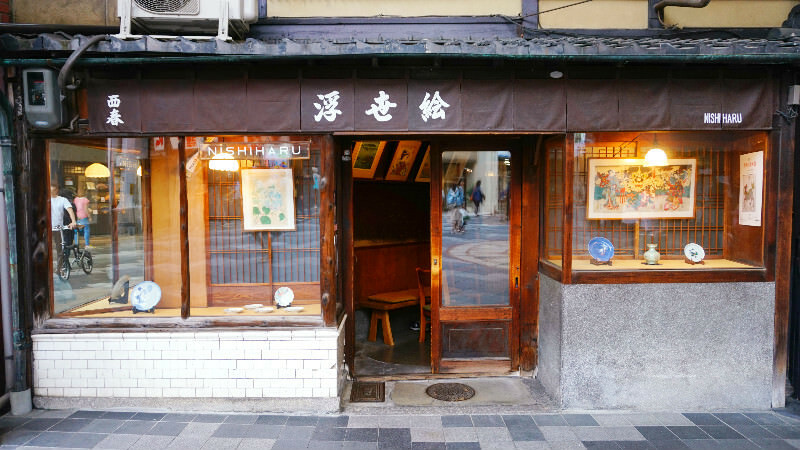 The store was founded in the Taisho period, a hundred years ago, and entering the store you almost feel like you were transported back in time to that period! 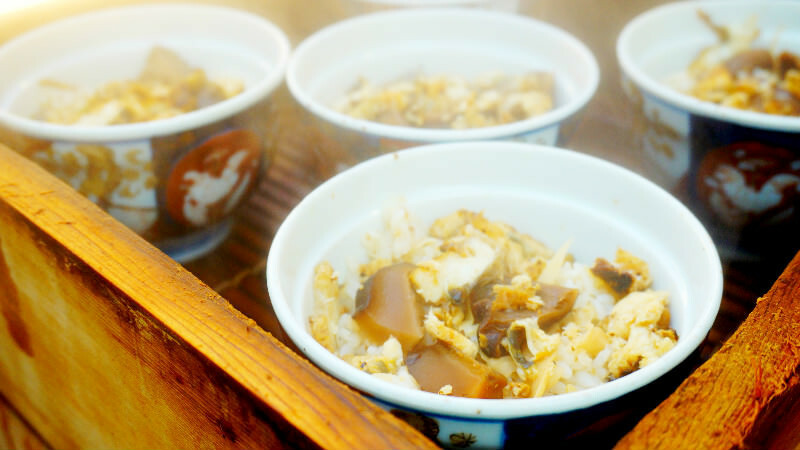 This restaurant is easy to know from the steaming wooden boxes full of sushi in front of it. 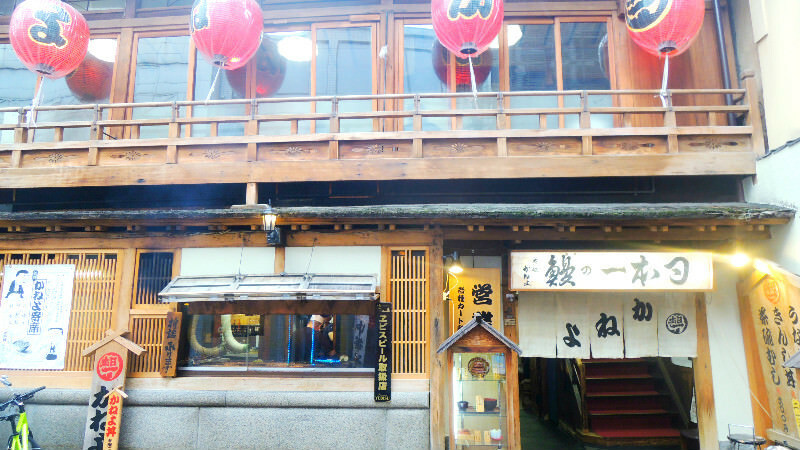 The name of this famous, old and established Kyoto-style sushi restaurant is Sushi Otowa! Sushi Otowa was founded over 100 years ago. You can taste seasonal dishes at this restaurant all through the year (in the picture you can see a bowl of steamed sushi with eel served in winter). 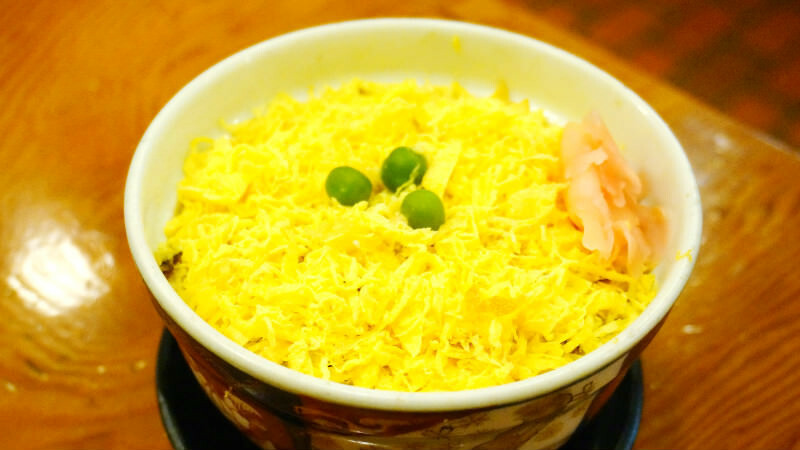 The seasonal dishes of Sushi Otowa have been loved by the people of Kyoto for a long time. 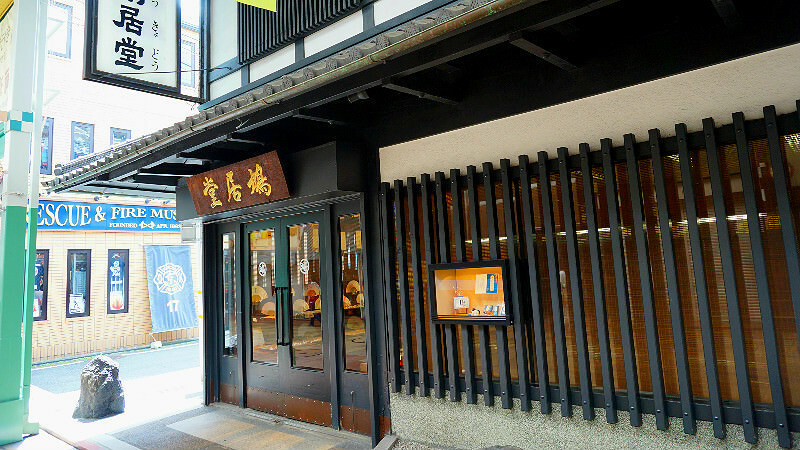 Next, we have another long-established store, Kyogoku Kaneyo. How about having a bowl of “Kinshidon” here? This is what Kyogoku Kaneyo is famous for, Kinshidon! 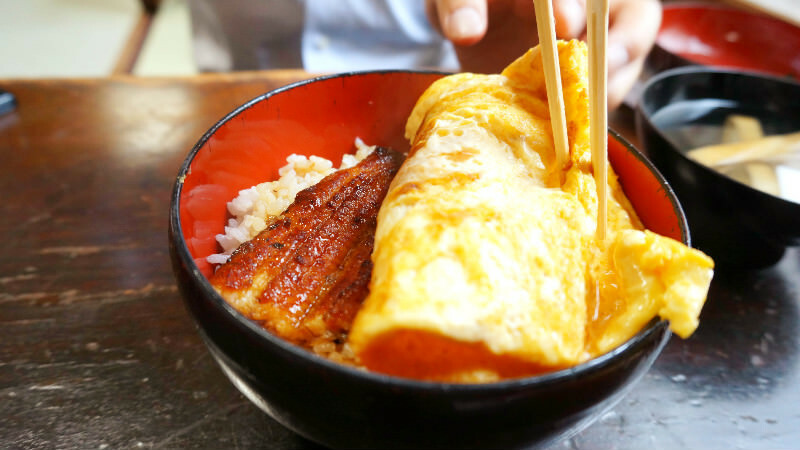 This rice bowl has eel grilled in the kabayaki-style with Japanese dashimaki-omelet, so this is one luxurious bowl! 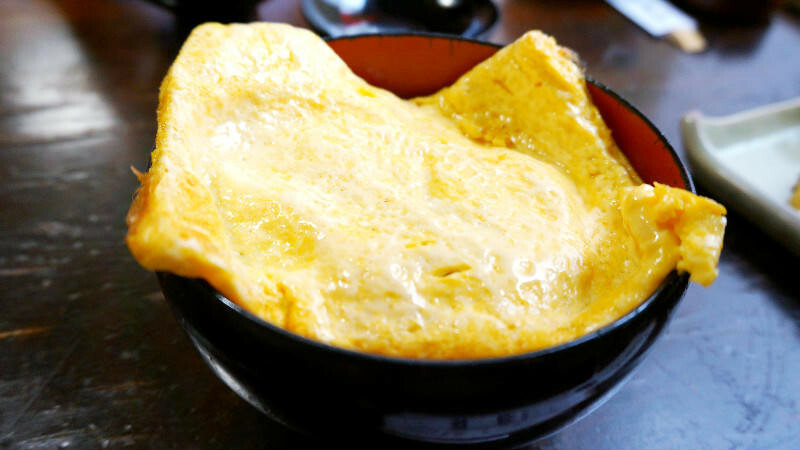 Many people visit this restaurant just to taste this bowl of eel and omelet. The restaurant is in a town house built over 100 years ago. The retro and atmospheric restaurant can easily be recognized from the big red lanterns hanging on the second floor. After lunch, we are getting hungry again, so it is time to head for London-ya for a little snack! London-ya can easily be recognized by the big machine in the front of the shop that makes their namesake, London-yaki. 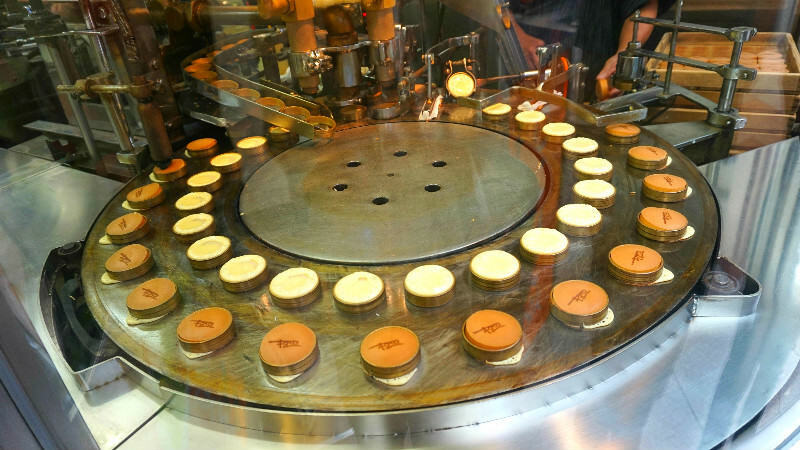 Many tourists come to this shop just to take pictures of this machine that makes the small cakes all by itself! 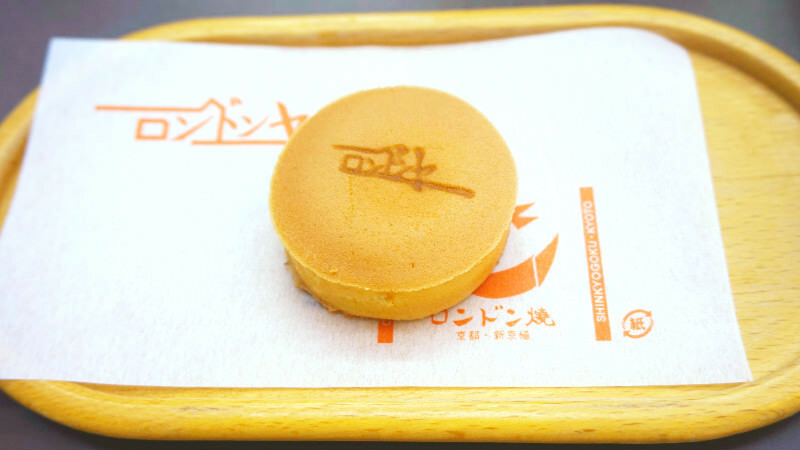 These small cakes are called London-yaki, and they are like really small pound cakes, with the difference that they have white bean paste inside them. Just made, piping hot, and for the price of only 54 yen per one cake, so there is no reason not to take a break here. Let’s go to the temples in the shopping streets! 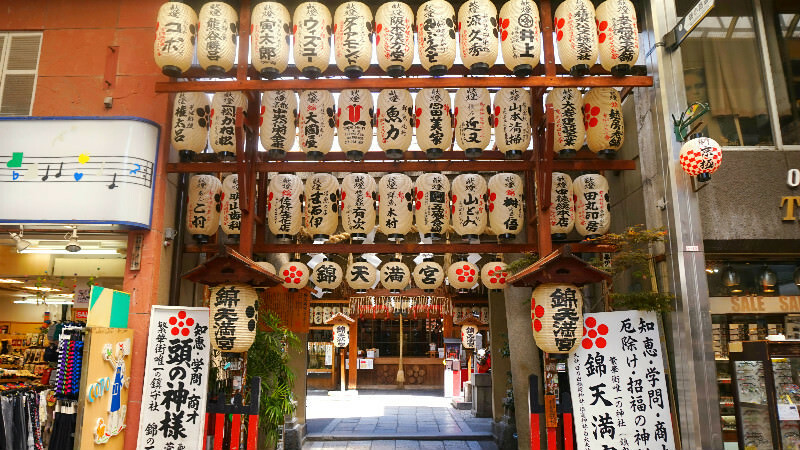 After walking through Nishiki Market you get to the all too famous shrine of Nishiki Tenmangu. 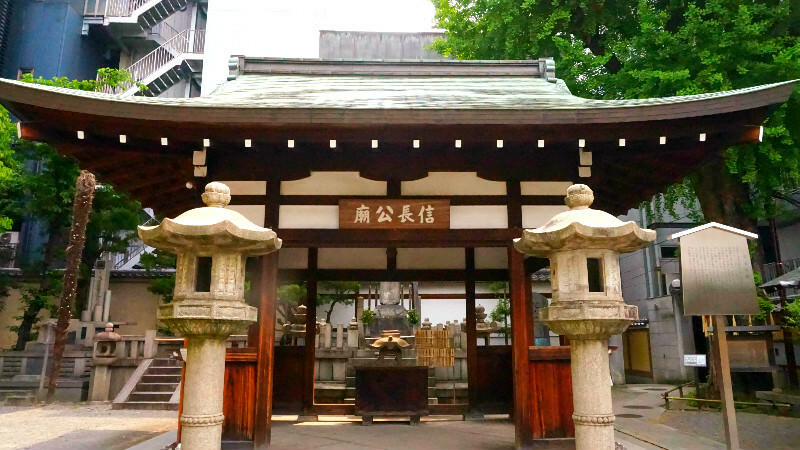 This shrine enshrines the god of learning, Sugawara no Michizane. The lines of lanterns of the shrine are an awe-inspiring sight when they appear in front of you walking down Shinkyogoku Shopping Street! There are a lot of things to see at the shrine, but what surprises most people is this torii gate. In an exceptionally unusual way, the gate goes inside the buildings that are next to the temple. 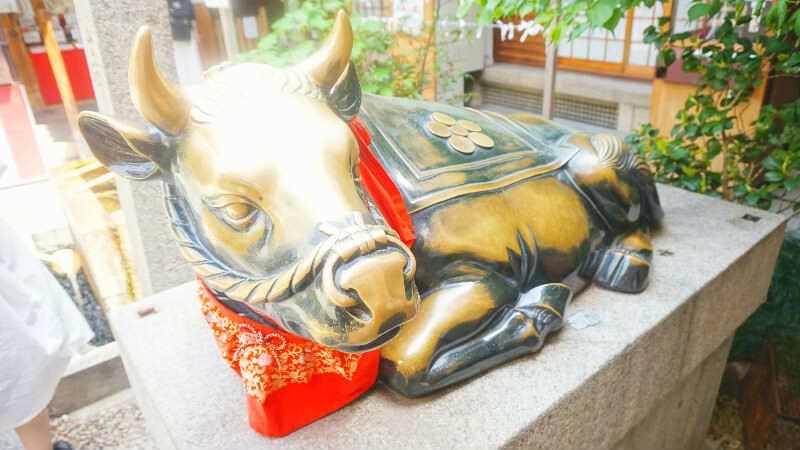 There are other things to see too, like this bronze statue of a bull of which is said you will get wiser if you pet its head. You can also enjoy the pure water of Nishiki and the robot-marionette that will choose a fortune slip for you, so the charms of this shrine know no bounds. This temple is the place where one of the most powerful daimyos of Japan during the Sengoku period, Oda Nobunaga, committed seppuku. This small temple has a big amount of history behind it. At the vast grounds of the temple, you can find seven small sub-temples, including Oda Nobunaga’s mausoleum. 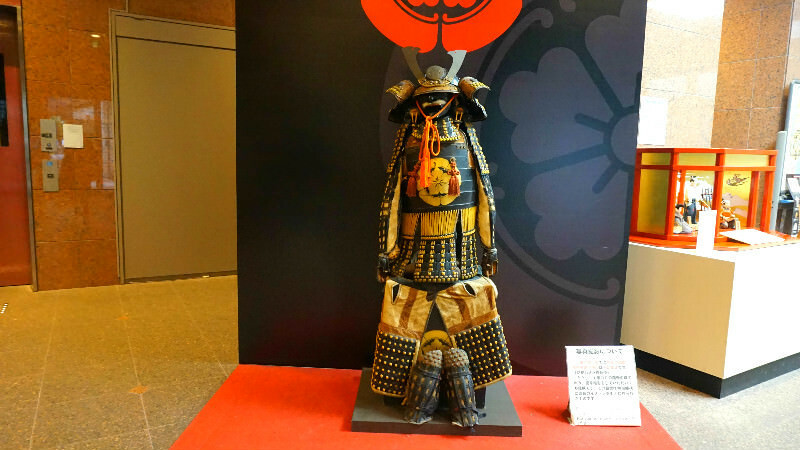 There is also a museum called Homtsukan where you can see all kinds of artifacts related to Oda Nobunaga. 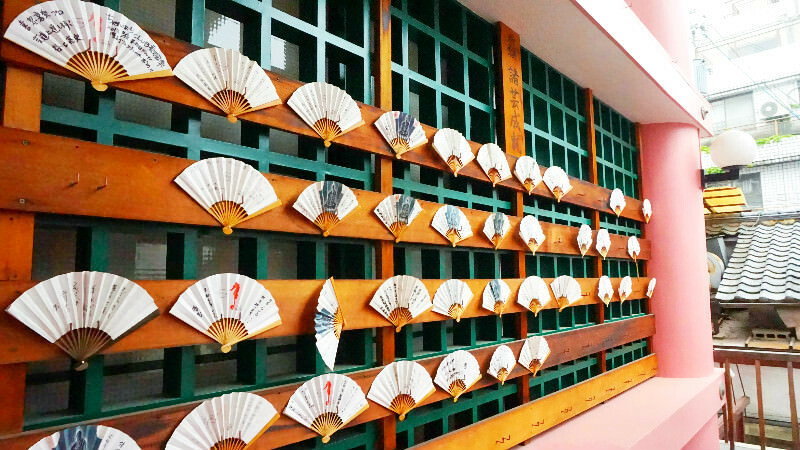 This temple is a must-go for fans of Sengoku period daimyos. There is also a museum called Homotsukan where you can see all kinds of artifacts related to Oda Nobunaga. This temple is a must-go for fans of Sengoku period daimyos. This temple has been known as a long time as the temple of the arts, especially rakugo, a form of traditional Japanese comedy. This temple was founded in the Asuka period, around 1400 years ago. During the Heian period the author Sei Shonagona and the poet Izumi Shikibu were both said to have become nuns at this temple, and for this reason, you can get a goshuin stamp for your goshuincho “book of temple memento stamps” at Seigan-ji. 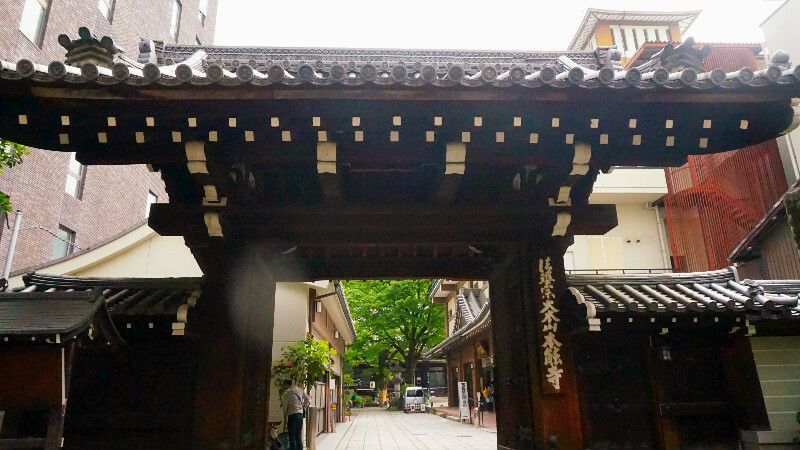 In part two, I had many classics that have also been featured in many guidebooks, so this course should be perfect for the first time visitor to the shopping streets of Teramachi & Shinkyogoku! 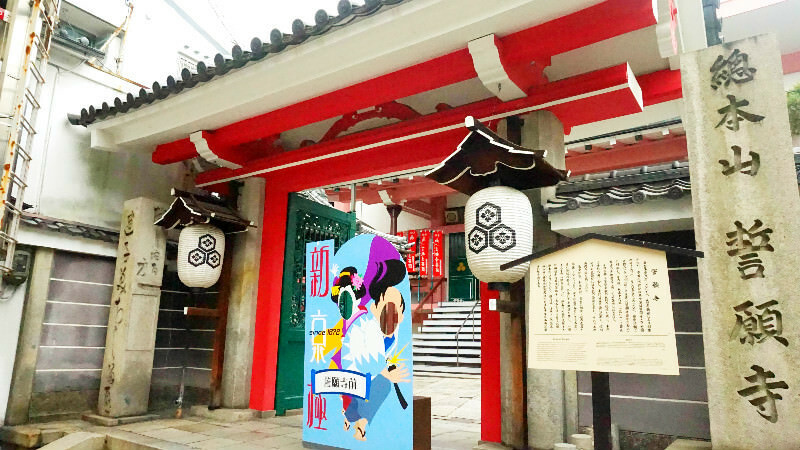 In the next part, you will find out what is hip and in at the moment at the shopping streets of Teramachi & Shinkyogoku! Many new shops and restaurants await, and I have some great places especially for women I would like to recommend!